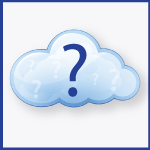 We’ve shared with you the benefits, security advantages, and cost savings of cloud computing. However, when push comes to shove, it’s important to know whether your organization is read to commit to cloud computing. Part of “educate yourself” in our accounting software selection checklist, we share with you six questions you need to ask to determine whether or not your company is ready for cloud. While we would be ecstatic for you to do this (you can contact us immediately if that’s the case), we want to help you become an informed cloud buyer. This is why, before you make any decision, you need to understand the underlying decisions by asking yourself these six questions. 1. Does my team need to work outside the office? “Anytime, anywhere” accessibility is a key benefit of moving to the cloud. The whole finance team can work anywhere—in the office, at home, around the corner, or around the world— using only a standard and secure Web browser and an internet connection. You don’t need extra security hardware or software, or a VPN connection. For a more detailed comparison of the complexities of on-premises and hosted software, we invite you to read our comparison of cloud, hosted, and on-premises delivery models. 2. Does my business need to accelerate financial processes—without increased IT budget? Considerable financial advantages come from avoiding the capital investments and operating expenses associated with an on-premises system. But cloud systems also drive higher ROI through time savings and process efficiencies. Since cloud systems are inherently Web-based, live, and real-time, they greatly accelerate crucial financial processes like collections, consolidations, and period closes. Plus, modern cloud-based systems offer extensive automation and integration capabilities. You can go a long way toward eliminating productivity- busters like manual data entry, paper-based processes, and spreadsheet maintenance. 3. Does my financial system need to integrate with other applications? Easy integration comes with the territory in the cloud. APIs and Web services enable cloud systems to integrate with one another so your company can use the best applications for each functional area of the business. That means no more costly custom programming and maintenance from expensive IT resources. 4. Do team members need custom views of relevant KPIs? Real-time visibility is a hallmark of today’s cloud systems. You can provide access not only to traditional finance department users, but also to other stakeholders across the business. For instance, many organizations that are adopting cloud financials provide real-time dashboards for their management team, so everyone can see the key performance indicators that apply to their department. Others provide access to a broader range of employees so they can view dashboards, enter and approve expenses, and create purchase orders. Some also give lenders, auditors, CPAs, and board members real-time access to key information to build trusted relationships. 5. Does my organization struggle with inefficient processes? Coordinate purchasing workflows that involve all stakeholders? Deliver a 360-degree order-to-cash process that connects finance and sales? Create budget dashboards for department managers and help increase operational alignment? The cloud enables companies to sidestep the pitfalls of “management by spreadsheet” and avoid the limitations of single-user systems like QuickBooks that trap information in desktop silos. 6. Do we need software built for bigger businesses—on a smaller budget? A cloud-based financial system lets you tap into world- class infrastructure. Your vendor amortizes costs over thousands of customers, so they can maintain world-class infrastructure and provide you with 24×365 operations, continuous backups, disaster recovery, and superior security. This offers you a far higher level of performance, reliability, and security than you may be able to afford on your own. Plus, cloud applications can be provisioned immediately and are upwardly and downwardly scalable. So you can get started quickly and change on a dime. Why are so many companies leaving Dynamics GP? InCloud360, as a proud provider of Intacct Cloud Financial Management Solutions, is happy to share with you the 2015 Accounting System Buyer’s Guide. We welcome you to share this with anyone considering a new solution, and if you are ready to make the move, contact us for more details.